The race to save Hagwood has begun! Wicked queen Rhiannon, High Lady of the Hollow Hill, is more intent than ever on finding the enchanted casket containing her heart. Made immortal through evil sorcery, she has ruled the land of Hagwood heartlessly for far too long. If someone can discover the lost casket and destroy the beating heart within, her terrible reign will end. The werlings Finnen and Gamaliel - in possession of the golden key that will unlock the High Lady's casket - race to find it first. Their quest leads them to the Pool of the Dead, where the hideous Peg-tooth Meg resides with her slimy snails and mutated sluglungs. 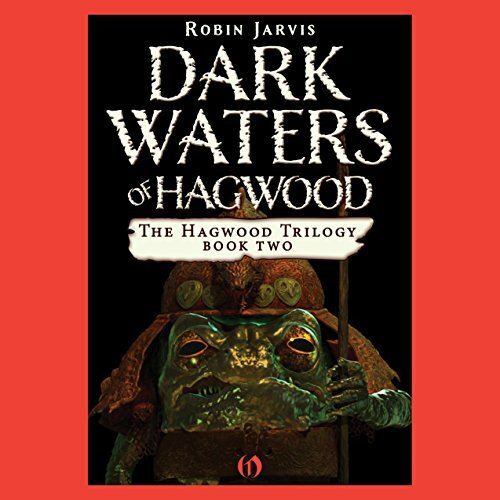 Caught between the armies of Peg-tooth Meg and the High Lady, Gamaliel and his friends must make a desperate stand to save the world of Hagwood from the forces of evil. ©2013 Robin Jarvis (P)2014 Audible Inc.
really enjoyed listening to this book. I thought the narrator was great definitely recommend this.